Many people find themselves in need of assistance after they have become disabled or injured, have been wrongfully denied benefits or compensation, and are enduring financial hardship. 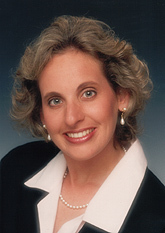 My name is Sara L. Gabin, and I have been an Oregon lawyer in the Portland area since 1981. It is my goal to help each of my clients receive the compensation they deserve, whether it is in the form of Social Security disability and Supplemental Security Income benefits, workers’ compensation benefits, or a recovery from an accident injury. Each legal action is unique, and it is my role as your Portland Social Security Disability lawyer to make sure your needs are met and that you understand your rights throughout the process. I am dedicated to giving your case the care and attention it needs to bring about the best possible outcome for you. If you believe you’ve been improperly denied Social Security disability benefits or workers’ compensation benefits, or if you feel overwhelmed with the insurance companies when seeking personal injury damages after an accident, contact me to discuss your situation. As an attorney practicing for over 36 years, I have seen the struggles that people endure when they are too sick to work and need to deal with the complexities of applying for Social Security Disability and Supplemental Security Income benefits. I make it my mission to ease this process by providing the legal support and knowledge that my clients need. Social Security Disability Insurance (SSDI): Candidates for SSDI are people who have become disabled after having earned a certain amount of “work credits.” Successful claimants will have shown that the disability occurred while they still paid for insurance coverage that included SSDI benefits. Disabled Widows Income (DWI): Candidates for DWI benefits are age 50, were married at least 10-years to the deceased spouse, have not remarried, and who became disabled within seven years of the death of the deceased spouse. Disabled Adult Child (DAC): DAC candidates are people who have become disabled before the age of 22 and may be eligible to receive benefits based on a retired, disabled or deceased parent’s earning history. Supplemental Security Income (SSI): SSI is a benefit available to individuals with disabilities who do not have an earnings record sufficient to qualify for SSDI. SSI benefits are only available for disabled claimants whose asset and household incomes fall within certain guidelines. As a Portland Social Security Disability attorney, I assist my clients in the initial application process when they need or want my assistance at that step. Most often, however, I represent claimants after an application is denied, through the next four levels of appeal - reconsideration, hearing, appeals council review, and federal court review. No matter what level of appeal you find yourself at, strict time limits apply. You have only 60-days to appeal a denial, starting five-days from the date you received the unfavorable notice or decision. You are presumed to have received an unfavorable notice or decision within 5-days of the mailing date. If you’ve been injured at work, it is important that you both report the injury to your employer and seek medical treatment promptly. Notice to your employer should always be in writing, and you should keep a copy for your records. A detailed account should be provided as soon as possible to establish the basis for showing the work activities that were the cause of your harm, in case future disputes arise. Job-related injuries can be in the form of a single accident event, for example an accident involving the use of machinery. They can also come in the form of an occupational disease, such as a repetitive use injury that occurs gradually over weeks, months or years. Although the process of filing a workers’ compensation insurance claim may seem daunting when you are focusing on the more pressing matter of trying to do your job or getting back to health, it is important to file a claim as quickly as possible so that you can get back on your feet both physically and financially. In Oregon, the available benefits may include medical costs, time loss benefits of two-thirds your average weekly wage, permanent disability benefits, and vocational rehabilitation costs if you are unable to return to your previous position. If your employer fails to assist you in filing your workers’ compensation claim, denies a claim improperly, or closes your claim, you should contact a seasoned attorney to help assert your rights. The time limits are inflexible when appealing a denial of compensation or claim closure. An appeal must be filed within 60-days from the date printed on the denial or Notice of Closure you receive. I represent clients in appeals, claim closures, medical services disputes, mediation and settlements, and third-party claims. When you have been hurt in an accident caused by someone else’s carelessness, you may seek compensation for your harm by making a claim for personal injury with the at fault party’s insurance carrier, and, later, as is often necessary, by filing a personal injury lawsuit. I represent clients in an array of accident cases, including those involving car crashes, slip and falls, third-party claims that occur while you are at work, and medical malpractice. Personal injury claims require proving that the defendant owed the victim a duty of care and breached this duty with some careless action. For example, a driver has a duty of care to others on the road to drive as a reasonable person would in similar circumstances. A person who is distracted by his or her phone and causes a crash as a result likely would be found to have breached this duty. The same is true of a property owner who neglects his property and allows an unsafe condition to occur that injures those who come onto his property by permission or invitation. You must show that your injuries are the result of that careless action, and must be able to identify quantifiable damages. These can include both economic harm, such as medical bills and lost income, and non-economic harm, such as pain and suffering. My physical office address is in Lake Oswego. My clients come from Clackamas, Multnomah, Washington and Yamhill Counties. I work carefully in evaluating each and every case to make sure I have the entire story so I can pursue all claims appropriately and fight for your rights. I provide candid legal advice regarding your situation and the possible outcomes for your Social Security, workers’ compensation, or injury claim. Additionally, my fees are strictly contingent, which means that I only get paid if you successfully receive benefits or recover damages. If you believe you need legal assistance from a Portland Social Security Disability lawyer or a workers’ compensation or personal injury attorney to help you pursue what is due to you, contact me at (503) 620-3171 or through our online form to discuss your case. I am candid, perhaps to the point of being very direct. No one has the time to waste hearing anything but my best opinion. That means I will tell you exactly what I think. I will tell you when I have insufficient information to give an assessment. I will ask you very specific “yes” or “no” answer questions to help both of us come to terms with the sticking points of your case. All cases have glitches. We both need to understand both what is possible and what is necessary to achieve as your case proceeds. We serve the following localities: Clackamas County including Lake Oswego, Milwaukie, Oregon City, and West Linn; Marion County including Salem, Woodburn, and Hayesville; Multnomah County including Gresham and Portland; Washington County including Beaverton, Hillsboro, Tigard, and Tualatin; and Yamhill County including Newberg.